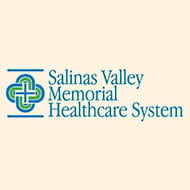 I live outside of the Salinas-Monterey area, am I still able to volunteer? 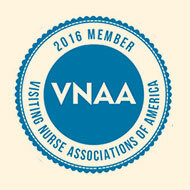 How old do I have to be to volunteer with VNA & Hospice? Volunteers must be at least 18 years old to volunteer. Yes, VNA & Hospice ask for a time commitment of a minimum of 2-4 hours a week for the duration of 1 year unless you are a special services volunteer. Special service volunteers are asked to make a time commitment of a minimum of 2-4 hours a month for 1 year. How flexible is the volunteer schedule? VERY! Your time can be broken down into 1, 2 or 4 hour time slots with the opportunity to volunteer on the evenings and weekends as well. We leave all scheduling up to our volunteers unless a patient is requesting a specific time frame. Once a schedule has been set up, we ask that all volunteers communicate their schedule with volunteer department and remain accountable for their set times. What if I go on vacation or need to take a leave? Perfectly fine! We at VNA & Hospice recognize the importance of self-care and encourage all volunteers to take a leave and enjoy their vacation time. Volunteers simply notify the volunteer department of the dates they will be unavailable and we take care of any substitutions needed during this time. As a volunteer who is new to the hospice field, what kind of support can I expect? Many of our volunteers come to us with a simple curiosity for hospice and a desire to serve. From the initial phone call and in person interview, the volunteer department works with you to find the right volunteer position. From there, we provide you with an orientation and team training where you can learn more about hospice, the interdisciplinary team, what it is like to work with patients and much more! For volunteers who are working with hospice patients directly, we also make sure that for your first two visits you are accompanied by a member of our interdisciplinary team. From then on, all volunteers are supported in their patient assignments by the volunteer department and of course-the patient’s immediate care team. Lastly, the volunteer department also provides all volunteers with ongoing in service dates and workshops to allow for continuous support and educational opportunities during your time here at VNA & Hospice.